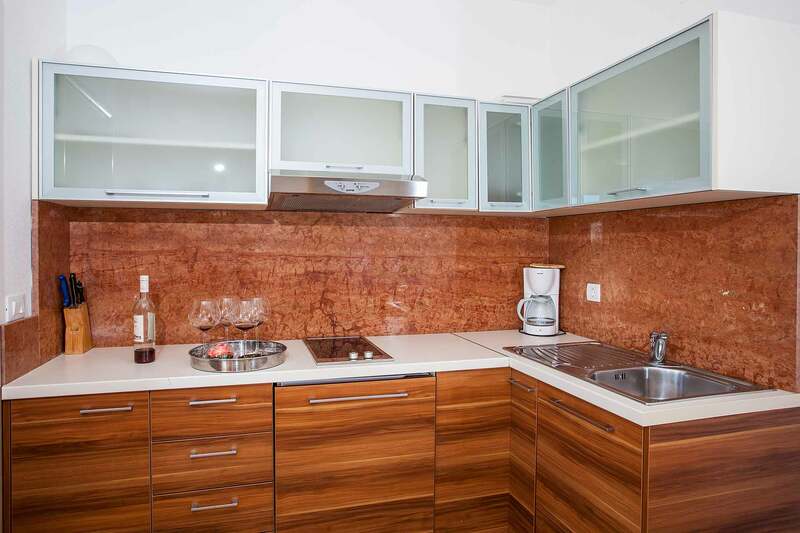 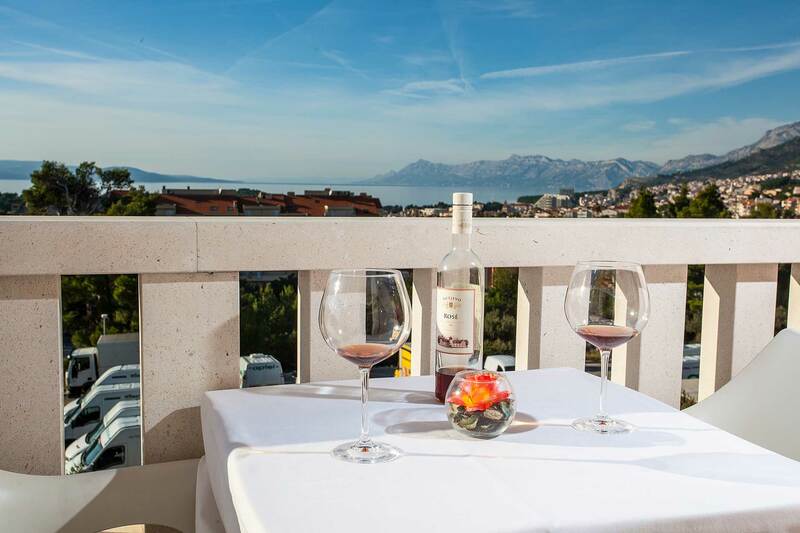 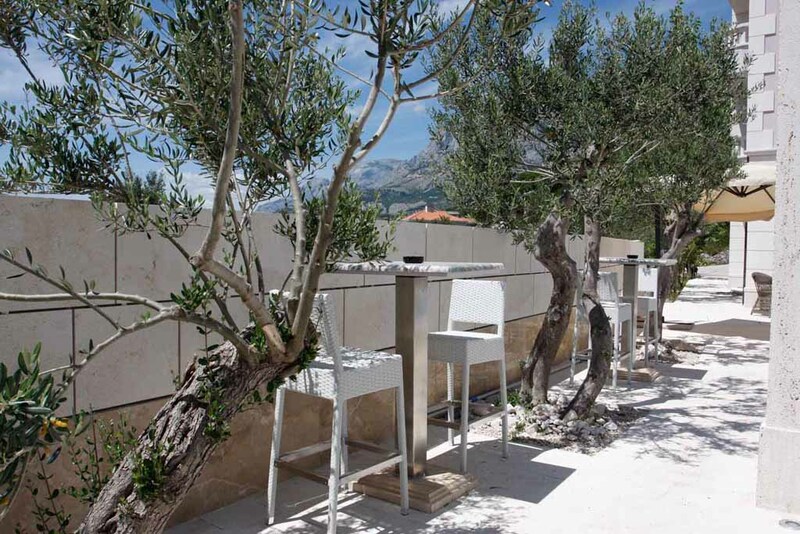 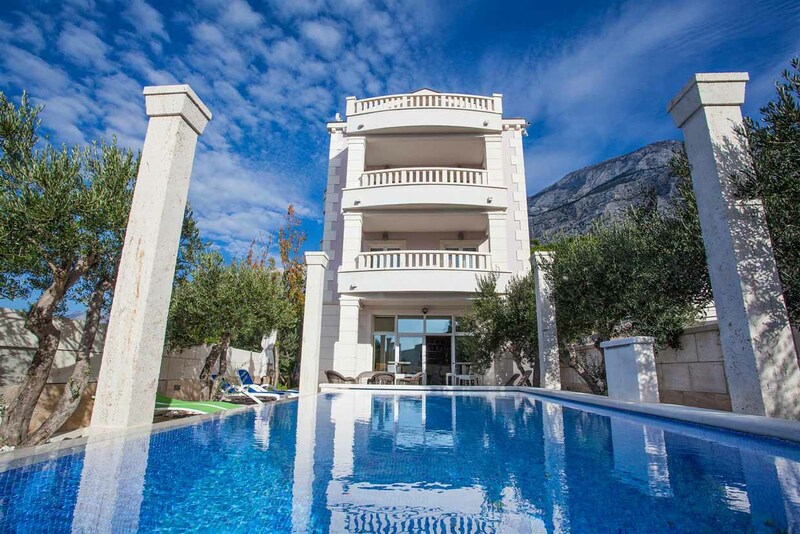 Apartment STONE - A3 / for 2+2 persons / 50 m2 / 1. floor / Modern and luxuriously equipped Apartments with pool for rent are located in the eastern part of Makarska "East" at the foot of Biokovo mountain. 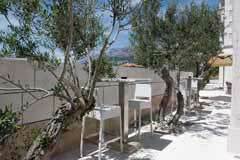 The quart is located on a hill above the town with a beautiful sea view, the islands of Brac, Hvar and the port city. 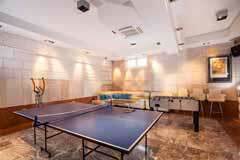 The house has 4 luxuriously equipped apartments for 2 + 2 persons, 2 apartments for 4 + 1 persons, 1 apartment for 4 + 2 persons. 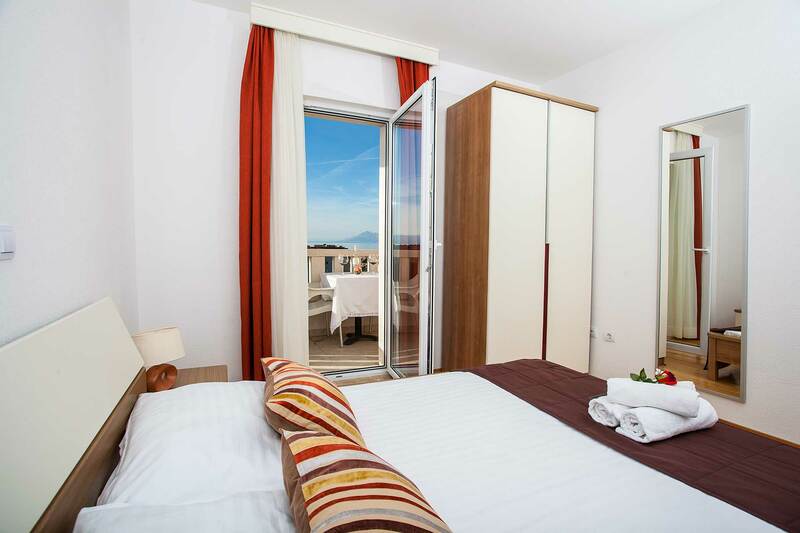 Apartment A3 consists of a double bedroom + living room + kitchen with dining room, bathroom and balcony overlooking the sea. 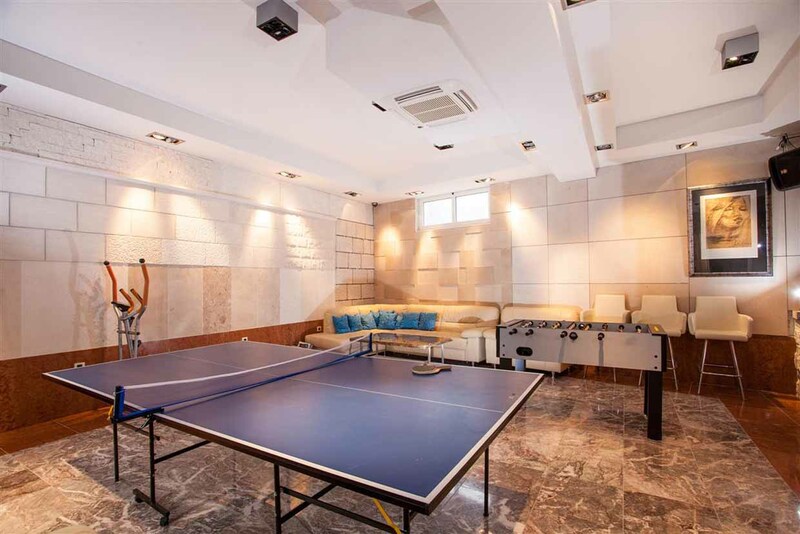 Guests can use the outdoor pool, outdoor grill, a salon for entertainment and socializing with exercise equipment, table tennis and table football and free parking. 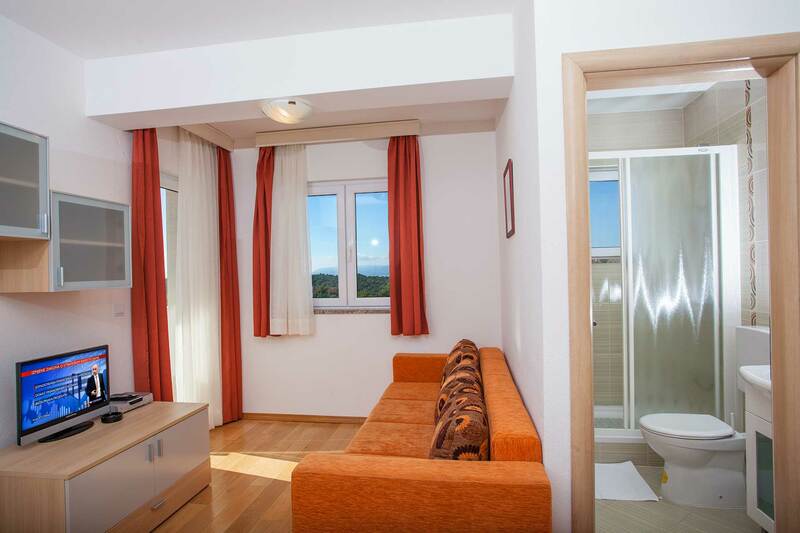 Apartments Stone are located 800 m from the city center and 1200 m from the sea and beautiful pebble beach which is due to the fine sand and the natural shade of pine forests ideal for young children and the elderly. 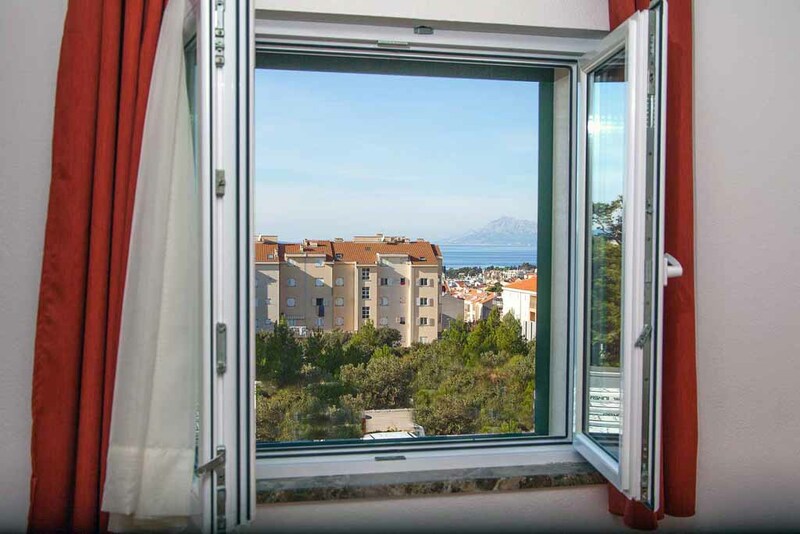 If you decide to spend your vacation in Croatia and in Makarska, we hope you will choose our apartment and we look forward to your arrival. - LIVING ROOM: 10 m2, SAT - TV + WiFi - internet + air conditioning + table and chairs + sofa bed + exit to balcony from living room, mountain view. - KITCHEN: Open kitchen in the living room, stove (2 glass ceramic hotplate), refrigerator with freezer, electric kettle, cooking utensils. 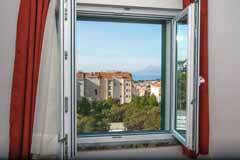 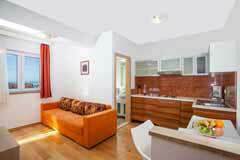 - BEDROOM 1: Double bedroom 12 m2 + double bed 200 x 160 cm + air conditioning + wardrobe + exit to balcony with sea view. 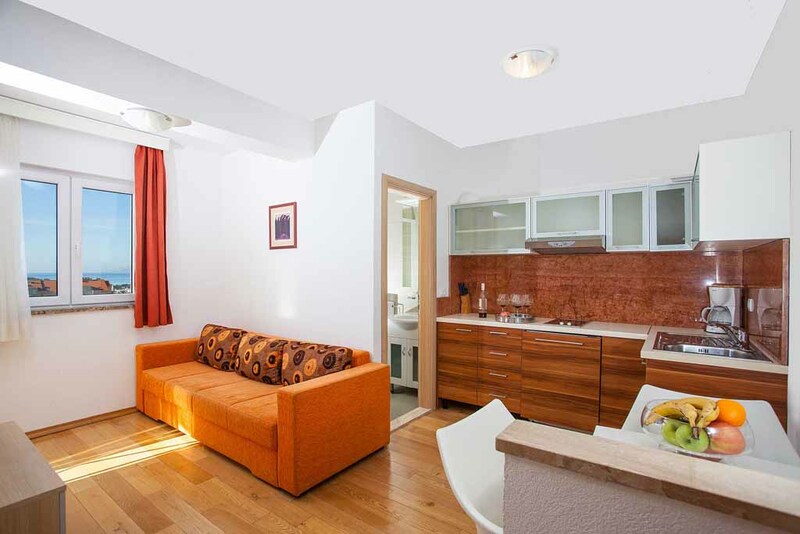 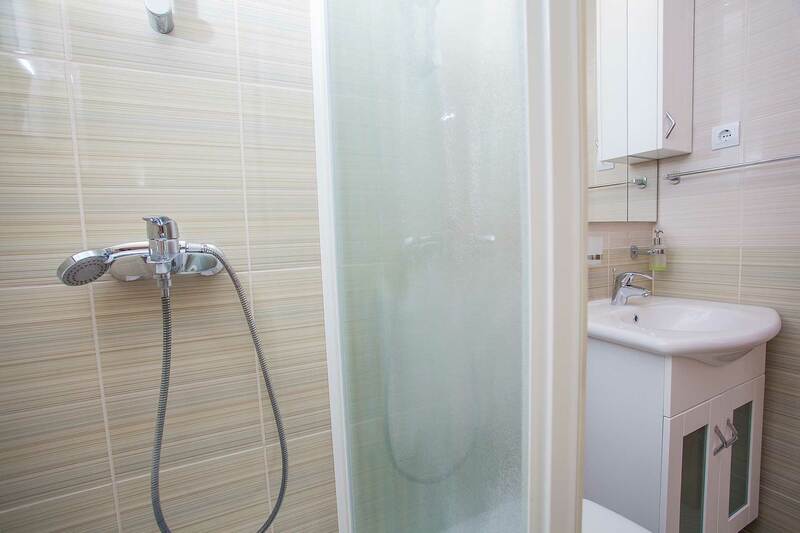 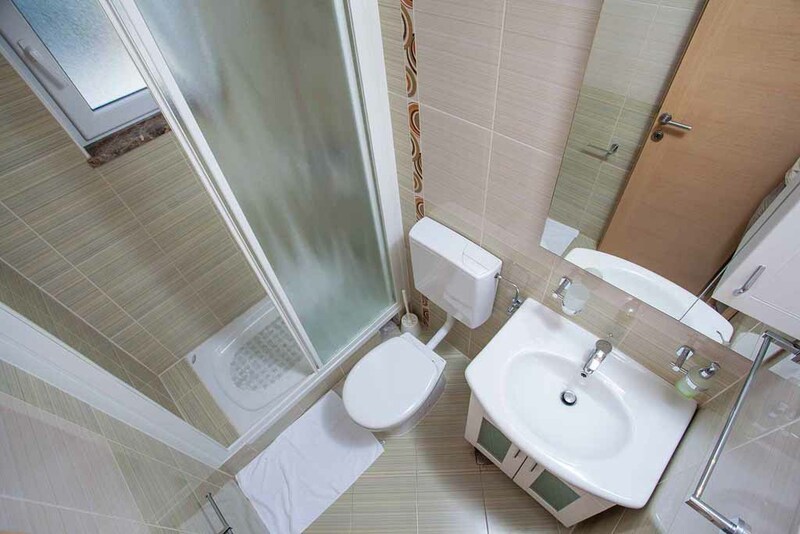 - BATHROOM: Shower bathtub, toilet, hairdryer, towels, toiletries. 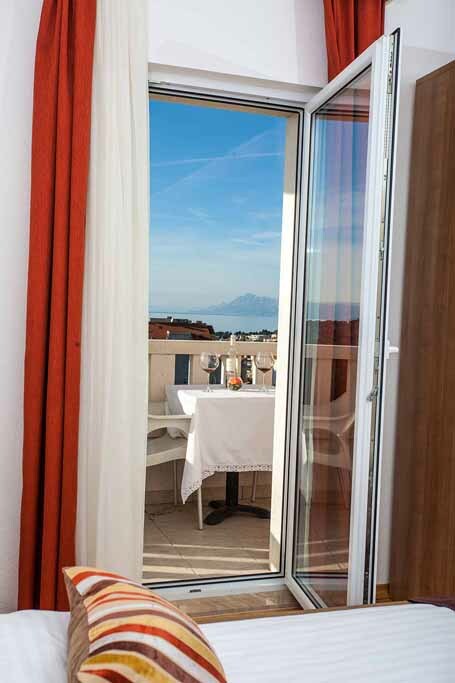 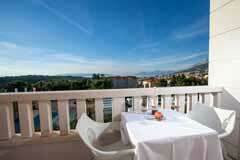 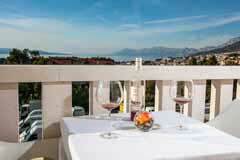 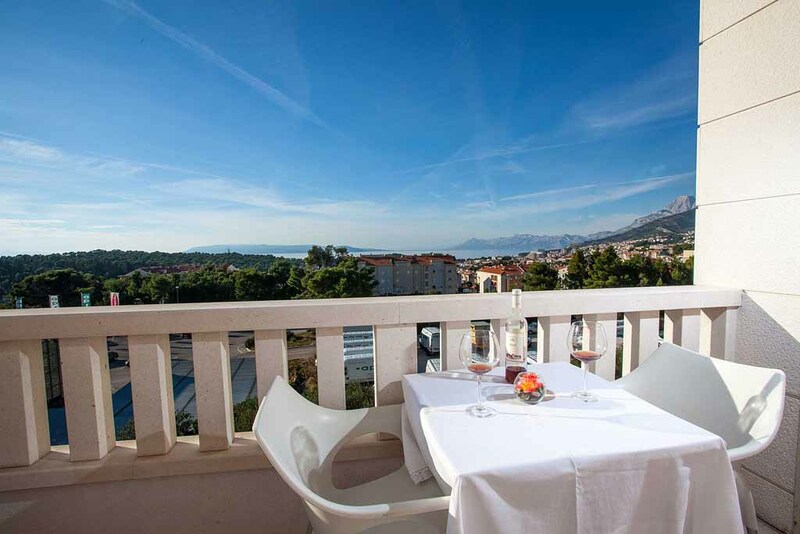 - BALCONY: Balcony of 6 m2, table and chairs, sea view. 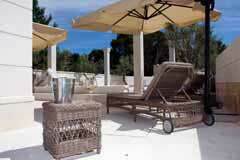 - SWIMMING POOL: Shared pool 8x4 m, and depth 1.5 m + deck chairs and umbrellas. 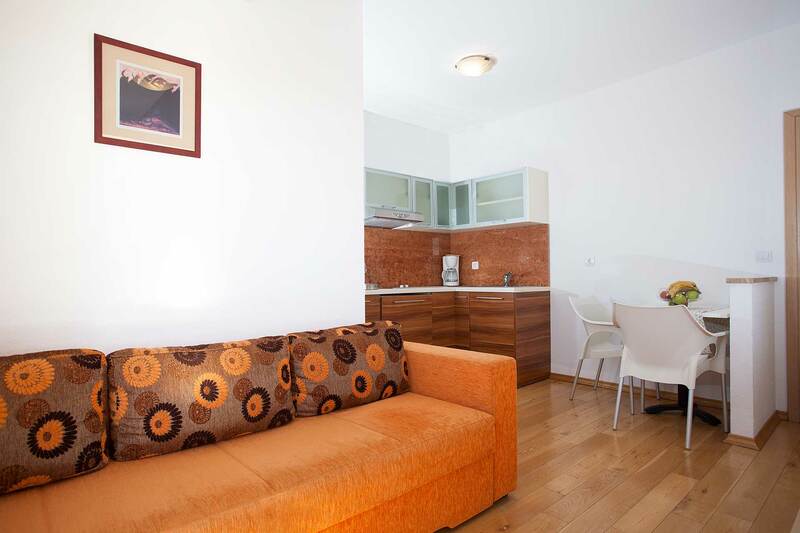 Guest reviews are written by our customers after their stay at Apartment Stone A3.